I’ve written previously about litigation that has delayed the closing of “a shameful chapter in North Carolina’s history.” As I explained, that chapter began in 1933 when the General Assembly created the state Eugenics Board and gave it the power to involuntarily sterilize those it regarded as unfit to procreate. The chapter didn’t end in 1977 when, after sterilizing more than 8,000 people, the Eugenics Board was finally disbanded. 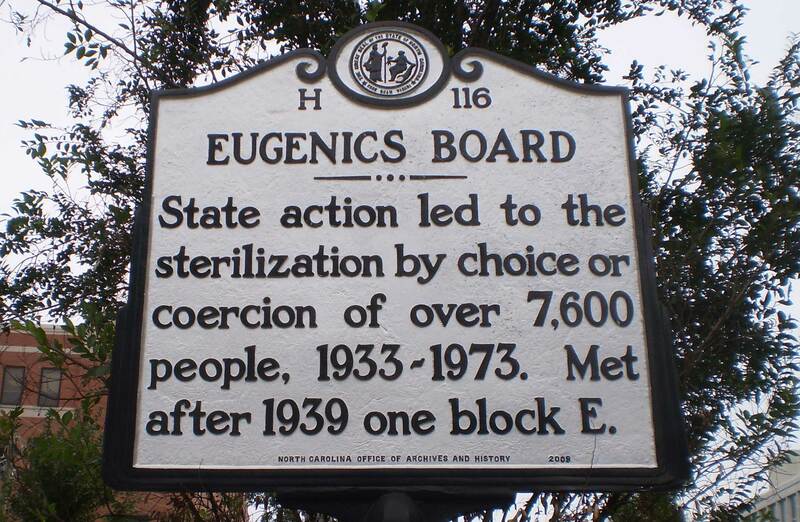 Nor did it end in 2013 when, at the urging of the John Locke Foundation and others, the N.C. General Assembly enacted the Eugenics Compensation Program to pay compensation to the surviving victims. The chapter won’t end until as many surviving victims as possible have been compensated for their suffering, and that can’t happen until several cases challenging the compensation program have been resolved in the courts. Last week, the N.C. Supreme Court brought three of those cases—In re Redmond, In re Hughes, and In re Smith—a little bit closer to resolution. At issue in those cases is the fact that, as enacted by the General Assembly, the compensation program only authorizes compensation for sterilization victims who were alive on June 30, 2013. As a result, while the heirs of victims who died after that date can collect on behalf of their deceased relatives, the heirs of victims who died before that date cannot. The plaintiffs in these cases are all heirs of victims who died before the cut-off date. They claim that denying them the opportunity to collect on behalf of their deceased relatives violates their rights to equal protection and due process. Personally, I’m inclined to doubt that these claims have much merit, especially given that the total amount of compensation to be paid is limited to $10,000,000. Because of that limit, any money paid the plaintiffs in these cases will come directly out of the pockets of victims who were still alive on the cut-off date, and, in my view, the compensation of actual victims should take precedence over the compensation of victims’ heirs. However, the bigger problem is that the courts have yet to even begin their consideration of the plaintiffs’ claims. Instead, valuable time has been expended adjudicating a jurisdictional question, namely, which court should hear those claims. The victims of involuntary sterilization in North Carolina waited for decades for justice to be done; so long, in fact, that most of them died without receiving so much as an apology, let alone anything in the way of compensation. … As for rest, they will just have to go on waiting, and more will probably die while they wait. What a lousy way to bring to a close this shameful chapter in North Carolina’s history.